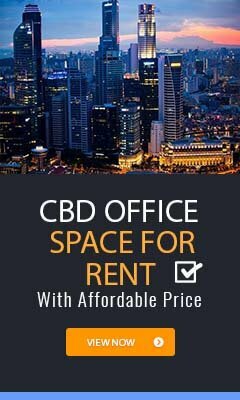 This agreement between you and Owee Digital Marketing Pte Ltd (referred as Owee), consisting of the following terms and conditions, shall govern all issues that may arise in relation to your access to https://www.officefinder.com.sg (a website owned and maintained by Owee) or use of any features/services being offered on this website or the websites of its collaborating partners. You should acknowledge and consent that Owee is not providing its services as an estate agent, irrespective of its compilation of real estate or related services being offered on the website. It is merely providing a platform to the participating vendors and the users who can enter a business relationship with each other without involving Owee as a party to such relationships. The term vendor shall denote any individual, entity, supplier or service provider who owns the property or fully authorized to list the property or Participates in the advertising / referral programmes on Owee platforms. You may access/use any features/services on the website, but you are not be allowed to directly contact the property owners, and all enquiries / information will be forwarded to participating Estate Agents or real estate agents through Owee platform. All content, including but not limited to logos, icons, pictures, graphics, information, and other contents, trademarks, service marks, and associated service names are fully protected by relevant copyright, trademark, patents, and other propriety laws of Singapore and international conventions. You should refrain from all activities that amounts to copying, printing, displaying, publishing, compiling, reproducing, distributing, transmitting, broadcasting, or exploiting the content in any form or media without obtaining a written permission from Owee or other partners who own such content. Nothing on this website shall grant you any kinds of rights or licenses to edit, alter or remove any logo, trademark, service marks, copyright or other proprietary notices from the downloaded content. Any violation of this section shall be deemed as a violation of copyright, trademarks, patents and other proprietary laws. You should acknowledge that collection, arrangement, assembly (referred as a compilation) and presentation of content on this website has been specifically designed to uniquely identify the website and its services to the users. The compilation of all content and the entire website presentation is fully protected by copyrights and other proprietary laws of Singapore. The software applications, services, and associated service names are the property of Owee or its collaborating partners who contribute to the successful running of this website. Nothing shall be featured, displayed, shared or transmitted, including but not limited to third party advertisements, links, and content, without proper authorization from Owee. Notwithstanding anything in the foregoing, you are any third party shall never do anything that amounts to an infringement of Owee’s legal or proprietary rights under this agreement. You shall cooperate and do your best to preserve and protect the compilation / presentation of the content on the website, and promptly notify Owee about any infringements, whether real or perceived, actual or apparent, and provide all reasonable assistance that may be expected to prevent such breach, as determined by Owee, or help it enforce its legal rights under this agreement. Owee reserves a right to prosecute any violation of its rights and may cooperate with law enforcement agencies or third parties to ensure maximum prosecution permitted under the applicable laws. Subject to the provisions of this agreement, the guest visitors should also have a non-exclusive, non-transferable and limited license to browse this website and use its property listing, search engines, and related services being offered on the website. Except this limited license, nothing on this website shall grant any kinds of implied license or rights to use the features, content or services on the website without obtaining a written permission from Owee or its collaborating partners who may own the rights to the relevant content. If you want to obtain any kinds of license for using/reusing the content, information or materials on the website, you may send your emails to info@officeinder.com.sg. Owee will consider each request on its merit. Owee reserves a right to refuse any such request in its sole discretion. Unless otherwise mentioned in your agreement with Owee, your access to the website and use of property listing and related services shall be limited to personal and non-commercial use. You shall be allowed to download a single copy of applications, images, and other posted content or information for personal, internal and non-commercial use, but nothing on the website shall grant you any kinds of proprietary rights, licenses or interests over the downloaded / printed content or information. You should enter this agreement as an Independent Contractor on Owee platform. Nothing on this website shall create any kinds of partnership, joint venture, fiduciary, agent-principal or employer-employee relationship with Owee. You should acknowledge that Owee is absolutely committed to protect your personal information on the Service, and never hesitate in implementing any feasible safeguard that may be required to effectively protect your privacy on the website. However, complete protection over the Internet is no possible and you should bear all the risks that may be involved in accessing the Service over the Internet. When you list your property on the website or post your views, reviews, comments, ideas, concepts, advice, suggestion or any information on the forums and social media platforms being moderated, sponsored or supported by Owee, it shall be deemed as your consent to grant Owee a non-exclusive yet perpetual, irrevocable, transferable, sub-licensable, and royalty free rights over such information / content. Owee shall be fully authorized to modify, reproduce, make derivative works, distribute, display, perform, use or exploit such information/content (in any form, media or manner) in relation to property listing and related services on the website or any other aspects of business promotion, including the marketing campaigns for its successors and assignees. However, you shall retain the ownership over your posted content / information, and your right to grant additional licenses to such content shall remain unaffected. • You own the intellectual property rights over such content/information or fully authorized to post the content/information on behalf of its owner/s. • Posting the content/information on the website and subsequent disclosure or use of the content / information by Owee won’t infringe or violate any third party rights, including the intellectual property rights. • You will promptly inform Owee about any events/circumstances of which you are aware or likely to make this representation inaccurate in any respect. Owee is absolutely committed to ensure that all content and information on the website are accurate and reliable, and it will never hesitate to implement any feasible safeguard to keep the website current and reliable. However, nothing in this agreement shall create any kinds of express or implied guarantee or representation that its property listing and related services, and featured content, ads, and information will be correct, precise, thorough, complete, authentic, reliable, or suitable to your requirements. The errors and omissions in the service may occur, and therefore, Owee and its officers, directors and employees shall not be liable for any omission, inconsistency, or inaccuracy of information / content being featured on the website. Nothing in this agreement shall create any kinds of express or implied warranty or representation regarding the accuracy and reliability of the user generated content. Owee disclaims all liabilities / responsibilities, to the maximum extent permissible under the laws, for user generated content. • The property listing or related services will be secure, timely, uninterrupted, error-free, and meet your expectations or requirements, including but not limited to your expectations of merchantability, fitness/suitability for a particular purpose, traffic to your website, and frequency of usage, processing time, functionality, performance or availability of any features/services on the website. • The content / information on the website will be virus-free and never do any hard to your computer. You should acknowledge that accessing / downloading any content, material, software or applications being made available on the website may infect your computer with a virus or malicious codes. You should use the services at your own risk. • Third party links, ads, content, or information are reliable, accurate, suitable and harmless. You should acknowledge that these third-party links, ads, content, and information are not monitored or endorsed by Owee. Featuring or publishing third party links, ads, and content doesn’t mean that Owee is endorsing /recommending any views, reviews, advice, suggestion or information on the third party website. You should access / use the third party websites or services at your own risk. You shall indemnify Owee and hold it harmless against all kinds of losses, claims, costs and expenses, including but not limited to demands, expenses and potential losses that may result from lawsuits, cause of actions or proceedings in relation to your access to this website, use of property listing or related services on the website or any kinds of breach to this agreement. In case you are involved in any kinds of dispute with one or more users on the website, you consent to keep Owee informed and release it from all such demands, damages (actual or consequential), and claims (known or unknown, unsuspected and undisclosed claims) that may result from such dispute. • The virus, malicious codes or any kinds of infection, modification or changes in your computer or configuration due to your access to the website or use of any services being offered on it. • Your ability or inability to use the website and its content, errors and omissions in relation to any content or services on the website, delays in resolving such issues, and performance or non-performance by Owee or its employee/s, irrespective of the fact that such claims result from torts, breach of contract, strict liability or otherwise, and the possibility of such loss/claim was already conveyed to the company. • Any non-performance by Owee or its employee/s due to a force majeure event or circumstance beyond the reasonable control of the company, including but not limited to the act of God, terrorist attacks, and other disruptions. In case, Owee is liable for any kinds of loss or damages in your jurisdiction, its liabilities shall never extend beyond SGD 500. Owee shall be entitled to terminate this agreement at any point and in its sole discretion. When this agreement is terminated, all your rights under this agreement shall revert back to Owee, but you shall be responsible for all your pending obligations, including undischarged financial obligations under this agreement. The terms and conditions of this agreement shall be severable. If any provision of this agreement becomes redundant or declared void, the remaining provisions shall survive with full legal sanctity. The terms and conditions of this agreement and their enforcement shall be governed by the laws of Singapore, irrespective of any conflict with the international laws and related conventions. The parties to this agreement shall consent to submit before the exclusive jurisdiction of the courts in Singapore. If you are residing in any jurisdiction that doesn’t recognize the exclusive jurisdiction of the Courts in Singapore in matters related to this agreement or limits this section in any manner, you should not be allowed to access this website or use any services being offered on it.